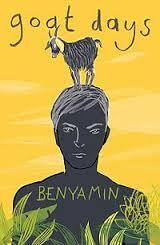 Goat Days, by Benyamin. Translated from the 2008 Malayalam ‘Aadu Jeevitham’ by Joseph Koyippally. New Delhi: Penguin, 2012. (Purchased for Kindle, Amazon Australia). Living in Nepal, the issues of migrant labour to, and remittances from, the Gulf are often in the news. The exploitation of young South Asian men–on building sites, in the hotel industry–is terrible, and often amounts to little more than slave labour. Nepalis are particularly favoured because they are ‘docile’ and will do what they’re told. Of course, not all experiences of migrant labour are bad–whether to the Gulf, or Malaysia, or wherever–but there is plenty of evidence to suggest that most are exploitative, at best, and violent, at worst. Finally, some fiction on the topic. Though not from Nepal–Benyamin is a Malayali based in Bahrain, and writes of migrants from Kerala–the story could be applicable to young men from across the region. The narrator and an acquaintance from a small watery town in Kerala end up in the Arabian desert, working with goats. The dryness, the labour and the treatment they receive from their Arab supervisors dehumanise them, and Goat Days is ultimately about the strength of human spirit. The novel is less about what happens than the psychology and endurance of the narrator. The novel originally appeared in Malayalam in 2008, and the English version was published in 2012. I wouldn’t call Goat Days brilliant literature, but it is a readable translation that introduces to the English literary world the life experiences of so many working class people of South Asia. I was disappointed, though, by a comment in the author’s afterword. Benyamin writes that the story he told is a true one, and he had been encouraged by a friend to meet the man who is at the centre of Goat Days and hear his story. “I thought it to be one of the typical sob-stories from the Gulf,” he writes. I don’t know if this phrasing is perhaps a result of translation, but it seemed disappointingly dismissive. Benyamin continues that the narrator’s story is remarkable and was worth telling, but this seemed to be overly exceptionalising a tale which is far from individual. Perhaps the details of Goat Days are unique, but the story isn’t, and it is here that its strength lies. I had seen this book for sale in Canberra’s Academic Remainders Bookshop while I was waiting to hear whether I’d got the job I wanted in Kathmandu. I was tempted to buy it right away, but decided that if I heard the very next day that I hadn’t got the job, I wouldn’t want to read it after all, I would likely feel resentful. Fickle, I know. So, when I found out that I’d got it, I bought it on my next trip to Garema Place. However, I found it quite disappointing, not least because the Kathmandu of the title–really the only reason I noticed this book–makes a minimal appearance at the end. Patrick Marnham traveled from Turkey to Nepal, overland through Iran and Afghanistan and India, with few resources but an adventurous spirit. 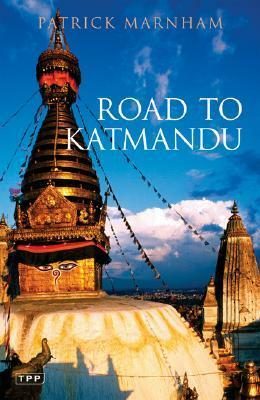 Road to Katmandu has been described as a classic, but I think developments in travel writing since its publication in the early 1970s–particularly changes in ideas about the role of the author–means that it has aged poorly. This was a very character-driven travel narrative, perhaps unsurprisingly as the author does note that it was a fictionalised account of the travels he undertook. But, I learned too little about the places being traveled through–even from a biased perspective, as one expects from travel literature–and too much about the young westerners who were, ultimately, pretty uninteresting and vapid people despite the amazing adventures they embarked upon. Nowadays, such self-indulgent travel to “find oneself” is normal for middle-class youths from many first-world countries, it has been thoroughly commodified and normalised. The gap year, or the OE (is this a New Zealand-ism? I never heard it in Australia) is a right of passage. I have some respect for those who blazed the trail, but perhaps nowadays it’s what we (or I) are trying to resist in travelling to exotic lands. Or at least convince ourselves isn’t the goal. I’m an avid Mad Men fan, and several weeks ago watched the episode where Bobby Kennedy is assassinated. This seems like another age, when people wore different clothes and spoke differently and had different values, and re-contextualising the journey narrated in Road to Katmandu as also of that age is necessary to put it into perspective, to realise that young western travelers like Marnham really were being radical. 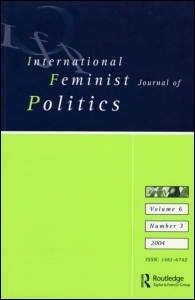 The 2006 edition includes an up-to-date (2005) foreword by the author, in which he does reflect on personal and political changes since Road to Katmandu was written. It should go without saying that some excellent literature provides the reader with an unfamiliar perspective on life, rather than merely reinforcing the known, and this is why most of us read. But, I couldn’t find enough in this to empathise with to really enjoy it. So I’ve been looking for books on Nepal elsewhere. Watch this space. This edition: London: Tauris Parke Paperbacks, 2006. First published 1971. 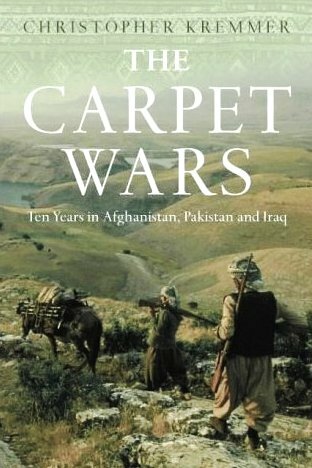 I have a particular liking for travel reportage, and Christopher Kremmer’s The Carpet Wars is very enjoyable, though unsatisfying in several important ways. The subtitle on the image I have posted (“Ten Years in Afghanistan, Pakistan and Iraq”) differs from the one on my copy (“A journey across the Islamic Heartlands”), and I think this demonstrates how much the packaging and meta-textual aspects of a book can affect one’s reading of it. The Carpet Wars is not limited to Afghanistan, Pakistan and Iraq at all, covering Tajikistan, Kashmir, a little bit of Delhi, and Iran as well. These latter places are not insignificant in Kremmer’s narrative, so why leave them out of the subtitle? I suspect the subtitle on this cover image is motivated by an attempt to tap into that lucrative market of books on the Middle East, post-9/11. This warps the real purpose of the book, and obscures the fact that this really is a travel account spanning the Middle East, Central and South Asia. Keeping with my meta-textual criticisms, I found the title a bit misleading, too. Christopher Kremmer is a carpet collector, and on his various trips to these countries spent much time buying, researching and discussing carpets. Yet I don’t feel that I have finished this book knowing much more about carpets than I did before I started. Kremmer is a print and broadcast journalist, and visited most of these places on work assignments over a long span of time–the carpet business was fitted in whenever he had some personal time. Of course it’s fairly smart to combine work and pleasure, but I felt that the depth of the discussion about carpets was lacking because of the primary purposes of his travels. Basically, I think this would have been a richer book if Kremmer had set out to research carpets alone. Most of the discussion of carpets consists of him talking to sellers in their shops, and though the conversations he has are interesting, they didn’t seem all that different from the kinds of conversations anyone shopping in South Asia enters into as a matter of course. The combination of geo-political commentary, gained through Kremmer’s experience as a journalist, with a specific focus on a cultural symbol in the form of the carpet could have worked, but it didn’t quite. The geo-political aspects tended to dominate, which was a bit of a shame, as there are plenty of other books around doing the same thing. However, I think a real test of good travel writing is to read about a place you are familiar with and see whether it holds–Michael Palin’s accounts of New Zealand are completely cringe-worthy, for example; Paul Theroux’s observations of Dunedin are completely at odds with mine. Though I have not been to Kashmir, I have read a lot about it, and I ultimately found Kremmer’s account unsatisfying–it was repetitive of a lot of other writing on Kashmir and didn’t really add many new insights, aside from his experiences at carpet-making factories. I read his descriptions of the Dal Lake houseboats and the impoverishment of their owners in the past couple of decades, and had a strong sense of deja vu, wondering whether I had read this passage elsewhere, in a collection of writings on Kashmir. I don’t think I have, but this says a lot about the chapter, and the book as a whole, I think. But I don’t mean to sound completely negative. It was an interesting and readable book, the type to read while travelling, perhaps. I have Kremmer’s Inhaling the Mahatma stashed away for this purpose.